Dr. Michael Bauer isn’t sure what direction his life might have taken if a University of Arkansas at Little Rock professor hadn’t taken a special interest in him while he was a graduate student. After graduating from the UA Little Rock joint bioinformatics doctoral program with the University of Arkansas for Medical Sciences, Dr. Bauer, now 36, is an assistant professor of biomedical informatics at the UAMS Myeloma Institute. Now, Dr. Bauer is giving back by serving on the newly formed Science Dean’s Council at UA Little Rock. Council members advocate on behalf of the UA Little Rock College of Arts, Letters, and Sciences and garner community support for science programs, including faculty and undergraduate research funding, the Fribourgh Award receptions, and the Science Olympiad. 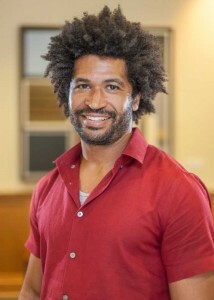 After completing his undergraduate education, Dr. Bauer finished a computer science internship in 2005 for minority students at the Arctic Region Supercomputing Center in Fairbanks, Alaska. He collected elevation data and satellite imagery to help create a 3-D flight simulator. A native of Farmington, New Mexico, Dr. Bauer earned bachelor’s degrees in computer science and biology from the New Mexico Institute of Mining and Technology, before leaving his desert homeland to pursue graduate degrees at UA Little Rock. As a graduate assistant at UA Little Rock, Dr. Bauer worked on a National Science Foundation-funded project, WikiHyperGlossary, which served as an information literacy tool for chemistry education. Bioinformatics is the science of collecting and analyzing complex biological data such as genetic codes. Dr. Bauer describes it as using the power of computers to get a handle on the unbelievably high amount of available biological data. “The human genome has over 3 billion base pairs, and you need supercomputers and that level of computational power to make sense of all that data,” he said. At the Myeloma Institute, Dr. Bauer’s work with advanced gene sequencing techniques allows him to develop personalized treatment plans for new myeloma patients. Myeloma is a cancer of plasma cells in the bone marrow. Dr. Bauer’s work helps determine which treatment plan is best for each patient, helping them live longer and have a better quality of life. Dr. Bauer hopes bioinformatics will help him discover if there are genetic reasons why African Americans are twice as likely as other races to be diagnosed with myeloma. Dr. Bauer and his wife, Akemi, have four children, Kana, Sana, Mana, and Michihito, and reside in Little Rock.